On Sunday, April 1, 2018, former Guatemalan de facto dictator Efraín Ríos Montt died of a heart attack. At the time of his death, he was being retried for genocide and crimes against humanity, after initially being convicted in 2013. 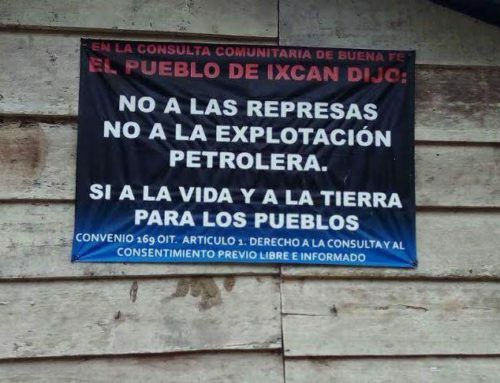 Read the following statement by the Center for Human Rights Legal Action (CALDH) in light of his death, as they lift up the work of Ixil survivors whose fight for justice continues. See below for the original statement in Spanish. On May 10, 2013, a Guatemalan Sentencing Court convicted General José Efraín Ríos Montt of genocide and crimes against humanity and sentenced him to 80 years in prison. That day, the General was transferred to prison to carry out his sentence. 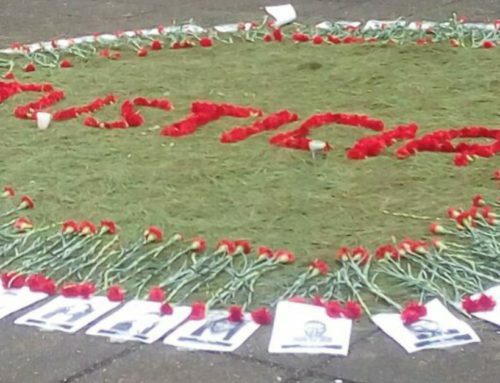 Ten days later, three Constitutional Court judges emitted an illegal resolution that forced the justice system to repeat the trial. 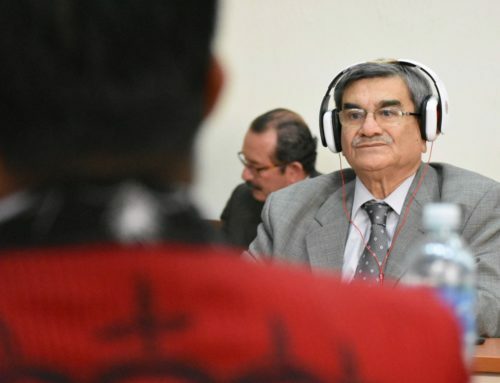 In 2016, a second trial for genocide began that, to date, included 47 days in court over two years; during this time, survivors returned to give their testimonies before the Court despite the illegal ruling of the Constitutional Court. During this time, General Ríos Montt and General José Mauricio Rodríguez Sánchez remained under house arrest. 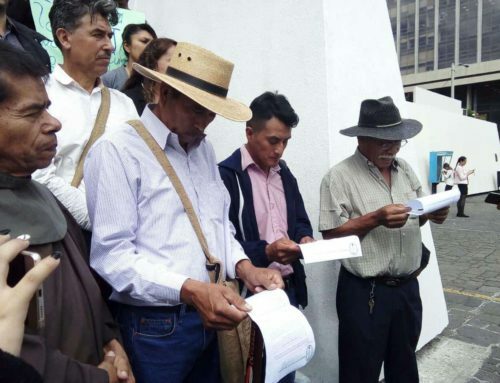 The principle of “swift and thorough justice” has not been applied by the Guatemalan justice system, given that the victims have waited more than 30 years since the crimes were committed, 13 years to get to trial, and another two in the retrial. We therefore demand that the justice system fulfill this fundamental principle to impart a speedy justice for the victims Therefore, we demand that the justice system fulfill this fundamental principal to impart a swift justice for the victims and survivors involved in past and present cases. 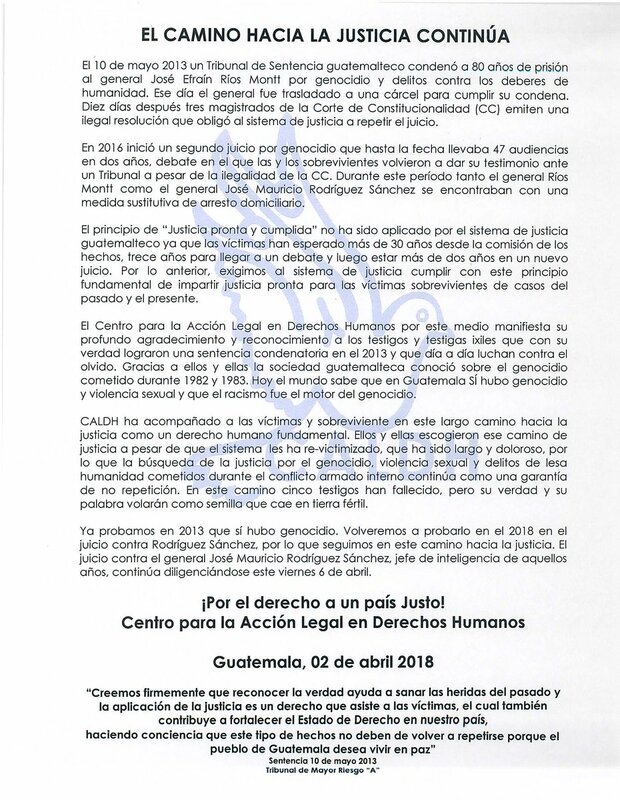 The Center for Human Rights Legal Action (CALDH) expresses its profound gratitude and recognition of the Ixil women and men witnesses who achieved a guilty verdict in 2013 by speaking their truth, and who day after day, fight against forgetting. 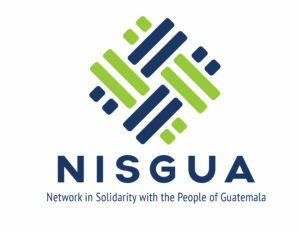 It is thanks to them that Guatemalan society learned about the genocide carried out in 1982 and 1983. 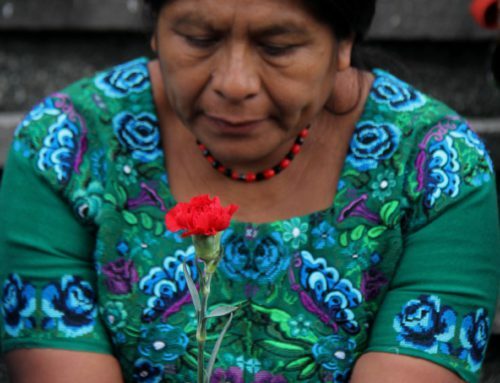 Today, the world knows that in Guatemala, there was genocide and sexual violence, and that racism was the engine that fueled it. CALDH has accompanied the victims and survivors during this long journey towards justice as a fundamental human right. They chose this path towards justice despite the fact that the system has re-victimized them. It has been a long and painful process, which is why the search for justice for genocide, sexual violence, and crimes against humanity committed during the internal armed conflict seeks to be a guarantor that these crimes not be repeated. Along this journey, five witnesses passed away, but their words and their truth will fly like seeds that fall on fertile soil. We already proved in 2013 that there was genocide. We will prove it once more in 2018 during the trial against Rodríguez Sánchez, through which we will continue this journey towards justice. The trial against General José Mauricio Rodríguez Sánchez, head of military intelligence during the time, will continue this Friday, April 6.